The Orbit jazz club and bistro officially opens its doors this Friday (14 March) in Braamfontein’s De Korte Street, in the space that formerly housed European fusion restaurant, Narina Trogon. Envisioned as a home for Johannesburg’s own jazz community and a venue that can attract and accommodate international performers, the fact that The Orbit has managed to book artists for every available slot for its first three months is testament to the dearth of live music (and particularly jazz) venues in Johannesburg. Owner and partner Dan Sermand — one of the three faces behind The Orbit — says there’s a distinct lack of venues in Johannesburg for aspiring musicians in need of opportunities to perform, and that the venues that do exist tend to be limited to one of two extremes: tiny clubs, or enormous stadiums. “Other than Niki’s [near Mary Fitzgerald Square in Newtown] and some of the bars in Melville there aren’t really any small live jazz venues left in Johannesburg,” he says. “There are some bigger venues like Bassline, but those are difficult to fill,” Sermand adds. This lack of a middle ground has long been a gripe of South African musicians and music fans alike. While the Bassline is a great venue, it’s too big for local artists — particularly those playing “niche” genres like jazz — but too small for popular international artists, who tend to play stadium shows to make the journey economically feasible. The ground floor of The Orbit houses seating for diners (the menu promises a wide variety of fare, from tapas-style meals to prime cuts of meat) and a small stage intended for “solo artists, jazz trios and student performers” while the first floor has a larger stage and seats 250 to 300. In addition to hosting local musicians, The Orbit will play host to some of the bigger names who make their way to South Africa for annual events like the Cape Town and Soweto Jazz Festivals. Sermand says he hopes The Orbit will attract diners as much as jazz fans. 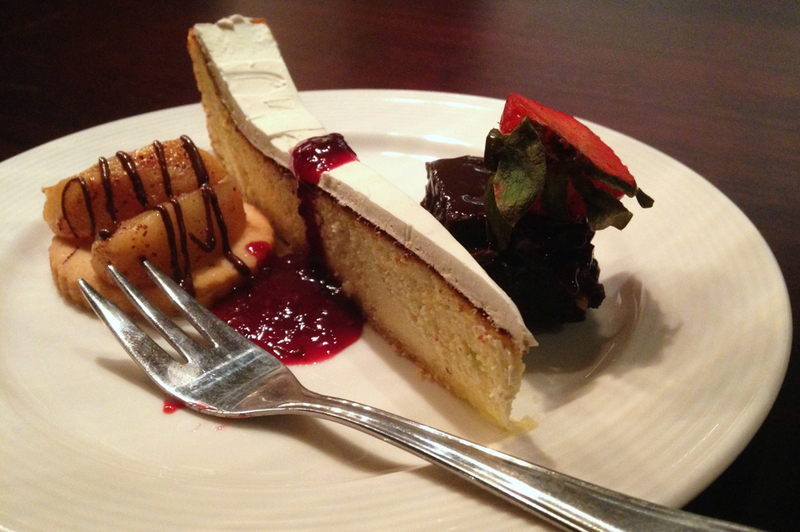 The venue is open every day except Monday from 11h00 to 02h00 and will offer a bistro-style menu for lunch and dinner. Péguillan says The Orbit is intended as a place for “dedicated listening” to jazz in all its guises and — to use staple of the South African jazz scene Carlo Mombelli’s expression — “improvised music”. Owners Péguillan, Serman and Naidoo. 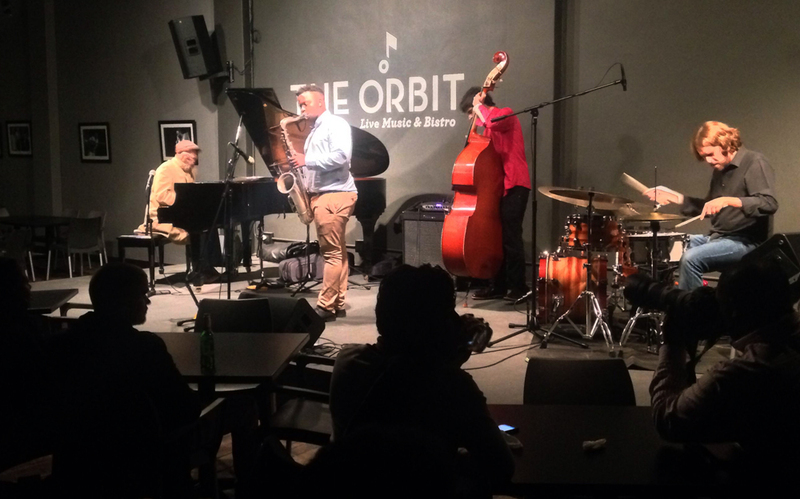 The venue takes its name from Clark Terry’s 1958 album, “In Orbit” and Péguillan says he hopes The Orbit will become a place “musicians gravitate to in search of the creative high” live performance can offer. It’s evident a great deal of energy has gone into ensuring the venue offers musicians an environment conducive to performance, including roping in another music-related business with a stake in Braamfontein, TOMS, to supply the backline. One of the essential requirements in setting up the venue, according to Péguillan, was a top-notch piano. He says while he was still running Peg’s Cozy Corner he got a call from a friend saying she wanted to bring jazz pianist Tania Maria to the venue. “My friend called back a little later and said ‘You do have a piano, don’t you?’ We didn’t, and Maria never came. I said ‘never again’!” The Orbit now has two pianos, an upright on the smaller ground-floor stage and a Yamaha grand piano on the main stage upstairs. The third owner and partner is businessman and self-confessed jazz lover Kevin Naidoo, who met Sermand and Péguillan through trumpeter Marcus Wyatt. “I told Marcus I wanted to start a jazz club in town and he said he knew someone who’d already secured a venue,” Naidoo says. “With any new business it doesn’t matter how brilliant your ideas are, you need funds to actually start,” Naidoo says. “When you look for funding you need at least one of the three Fs: friends, family, or fools. Dan and Aymeric aren’t friends, and they aren’t family, so I guess that makes them the fools,” he says with laugh. “You don’t open a jazz club to be rich, you do it for the love of it,” Naidoo explains, adding that no financial advisor in their right mind would advise anyone to open a live music venue, including his own. Naidoo says when he first moved to Johannesburg from Durban more than a decade ago to “make his fortune” one of the things he liked most about jazz venues was that they offered the only “truly integrated crowds” he saw in the city. 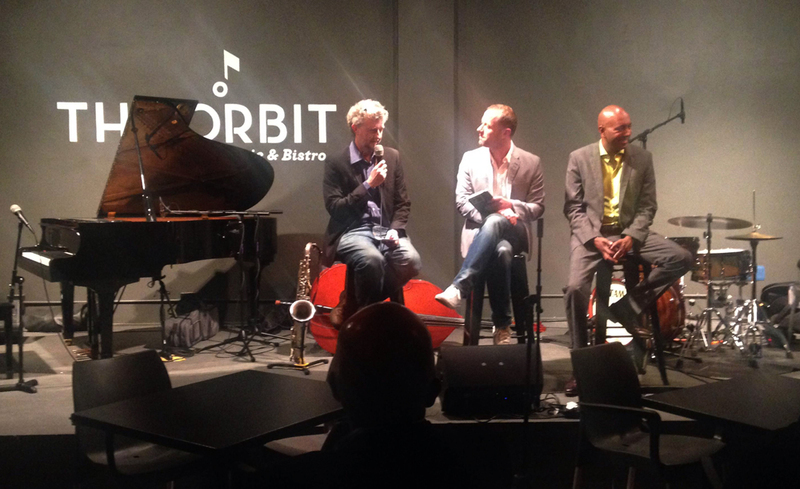 On the choice of location for The Orbit, Naidoo says he and his partners believe they’re part of the revival of the jazz scene in Johannesburg, “and Braamfontein seemed like the right place because it’s undergoing its own revival”. The Orbit (81 De Korte Street, Braamfontein) is open from 11h00 to 02h00, Tuesday to Sunday. A full programme of upcoming events can be found here. Definitely agree that there’s a lack of venues in Jozi for this sort of thing. Glad they’re here. Will def be visiting. Awesome news! What a stunning venue the upstairs area is too! Best of luck you all…!